Every other year, the French Armee de Terre put on a small two day show down in the beautiful Provence-Alpes-Cote d'Azur region in the South of France. Having heard great reviews about the show and after seeing some very nice images from the picturesque 2009 event, I decided to check it out for myself. 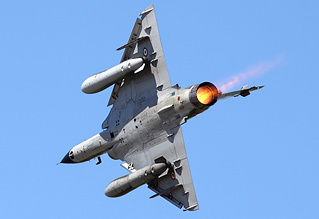 Paul Cameron reports for UK Airshow Review. All photography from the author. As a French Army Helicopter base, obviously the main bulk of participation is from rotary elements but there is still a fair share of fixed wing treats on show in the air and in the static park also. The base itself is home to Armee de Terre AS555 Fennecs, SA341/SA342 Gazelles, SA330 Pumas and EC665 Tigre attack helicopters and each type were all very well represented during the two show days. The base is also home to the German Army Tiger training school. The weather on day one of the show started off very overcast but steadily improved throughout the day and by mid afternoon the sun was out in full. Day two was wall to wall sunshine but the winds were very strong making for difficult photography conditions, particularly when using slower shutter speeds for the rotary displays. 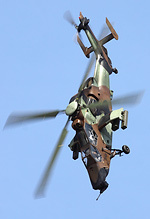 One of the most impressive aircraft on show for me was the French Tigre attack helicopter. A very fast, very dynamic and close-in display from this relatively new addition to the Armee de Terre inventory mader it a real high point. On each show day the Tigre performed a solo display three times with an additional dual display with the German Tiger, which was also very impressive to see. Another undoubted highlight was the Commando Assault/Role demonstration (similar to RNAS Yeovilton's Commando Assault). The assault consisted of a single Fennec, a pair of Gazelles, two Tigres (one each of, German and French) and a trio Puma helicopters. The only criticism from me was the lack of involvement from the smaller types (Fennec and Gazelle) which seemed to sit in the distance providing top cover whilst the Pumas carried out troop insertion and extraction. This fantastic show of force was demonstrated three times on the Saturday and twice on the Sunday which gave plenty of opportunities to capture the action from different locations around the spectator lines. The role demonstration was concluded with a nice flypast of all the participants. 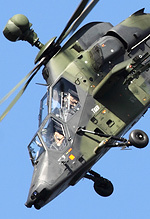 Other rotary displays at the show came from the French Navy SA365 Dauphin II from nearby Hyeres which carried out a SAR demonstration, two EC145 demonstrations from both the Securite Civile and the Gendarmerie Nationale, a German BO105, Belgian Agusta 109 and a Swiss AS532 Cougar. 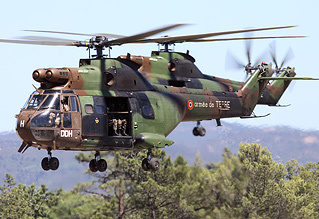 Rotary highlights in the static park were in the form of a French Army SA330 Puma in the lesser spotted desert camouflage scheme, a French Army EC725 Carracal (which should have been taking part in the Role Demo) and a French Navy NH90, also from nearby Hyeres. The fixed wing displays were equally as impressive and headline acts came in the form of two Mirage 2000Ns from Base Aerienne 116, Luxeuil which performed two very nice flypasts on the Sunday only, as well as superb displays from the OV-10 Bronco, Skyraider and Sea Fury. 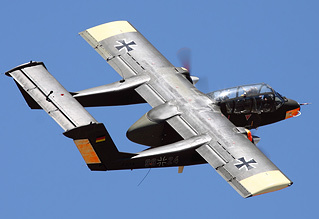 Other fixed wing displays included the French Air Force Alpha Jet, French Navy TBM700, a privately owned Grumman Avenger and a Fouga Zephyr. 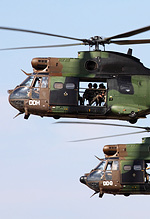 Of note, but to be expected with all and any show these days, were a couple of disappointing no shows from the French Army Cougar and French Navy Lynx and Panther Helicopters. All in all a fantastic little show in a stunning mountainous setting and I can't wait to go back in 2013 for the next event.